Nigeria-China Trade Deficit – Royal Times of Nigeria. Nigeria’s economic relationship with China is heavily characterised by trade. However, Sino-Nigerian relations are far from equal. Nigeria runs a trade deficit with China. We import seven point six billion dollar worth of goods and only export a mere one point six billion dollar. 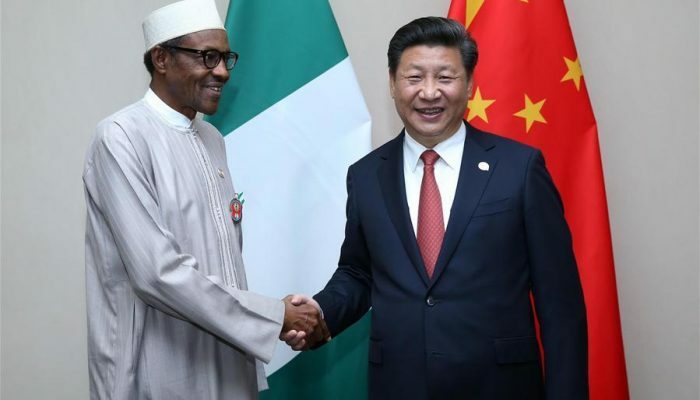 Even Chinese officials recognise the uneven nature of this relationship that Chinese Embassy official, Zhao Linxiang stated that expanding exports to China would balance the trade relationship which currently favours China by providing the necessary boost to Nigeria’s economy. Findings by G.A. Oyeranti, M.A. Babatunde, and E.O. Ogunkola from the University of Ibadan also reveal that Chinese investment places a concentrated focus on sectors which are of strategic interest to China, particularly the extractive industries. Does any of this sound strangely familiar? It should. We have seen this exact pattern before, in the case of the British Empire’s slow, parasitic colonization of Nigeria. China’s relations with many countries today closely resemble the immediate precolonial relations between European and African countries. First, trade agreements are made between two countries. These agreements may even seem equal at the beginning. Then, relations slowly become more hierarchical and exploitative, eventually leaving the subaltern country in a state of dependency that will last for decades. The powerful country comes to Nigeria and entices us with promises of widespread development and prosperity, only to appropriate our resources and leave our land and people devastated. Some argue that China’s stakes in Africa are not neo-colonial in any way. Beijing claims that Chinese involvement improves the terms of trade and reduces the inequality of exchange. However, this argument completely ignores the indispensable role of local production in development of any kind. China’s presence means that fewer jobs are left for the Nigerians who so direly need them to survive. The construction of new airport terminals in Abuja, Lagos, Port Harcourt, and Kano, for example, was handled by the China Civil Engineering Construction Corporation (CCECC). Where foreign involvement thrives, local production suffers. We literally cannot afford to make this mistake again. Not while we are still dealing with the ill effects of British colonialism. As a result, we must see foreign investment for what it is: diversions on the road to development. May God bless our country, Nigeria.